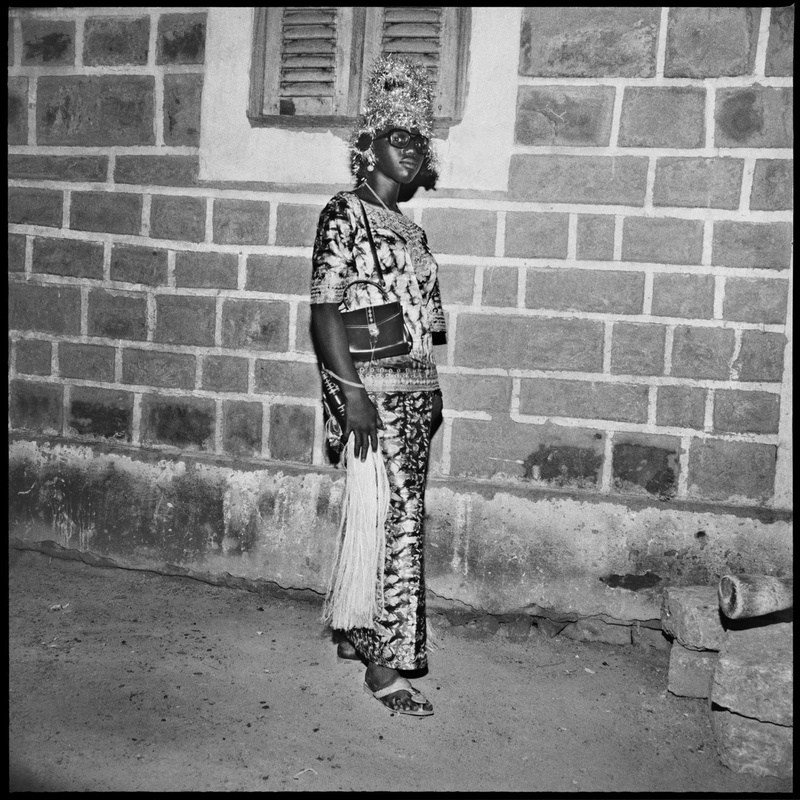 Sanlé Sory’s ‘Peuple de la Nuit’ portraits capture the vibrant youth culture, dance parties and flourishing music scene of his home city, a Bobo Dioulasso, Burkina Faso, West Africa. 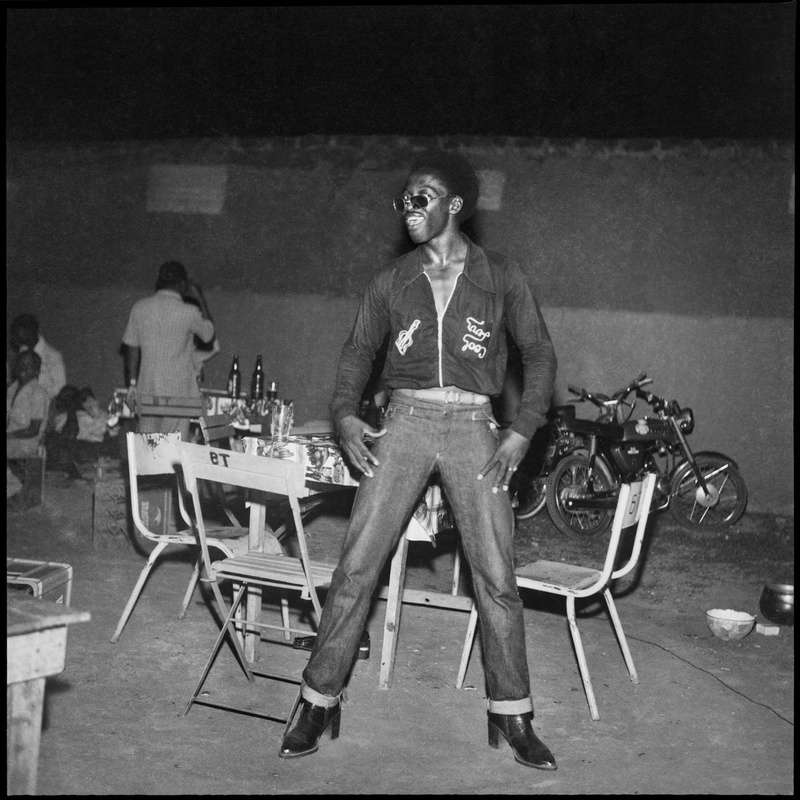 This expansive collection of images, taken between the years 1960-1985 will be unveiled for the first time in a stunning exhibition and book. 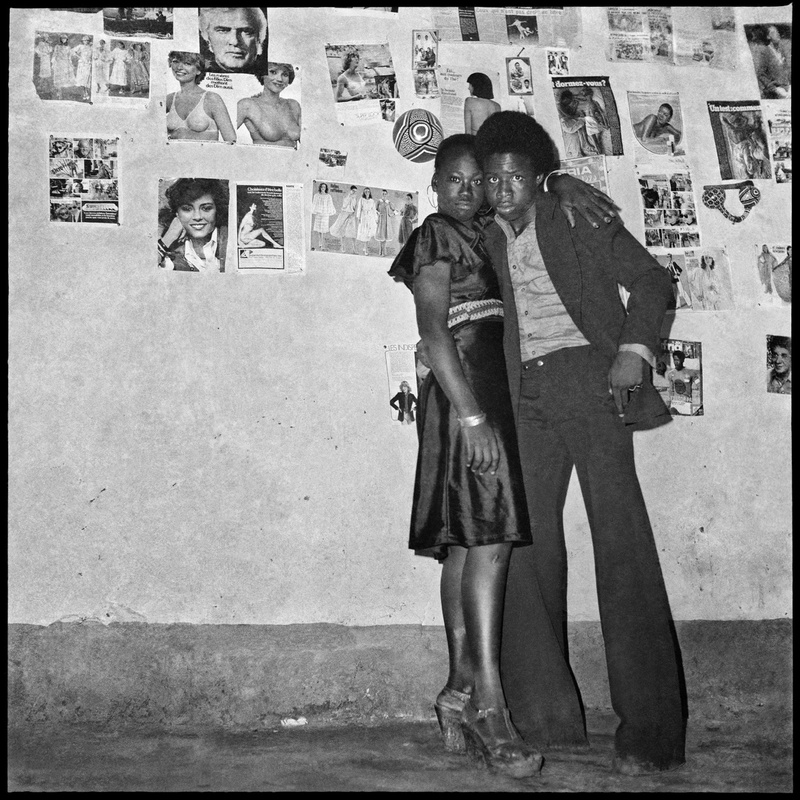 This expansive Recently unearthed from Sanlé’s personal archive, ‘Peuple de la Nuit’ is an evocative tribute to the nightlife of a distant era. 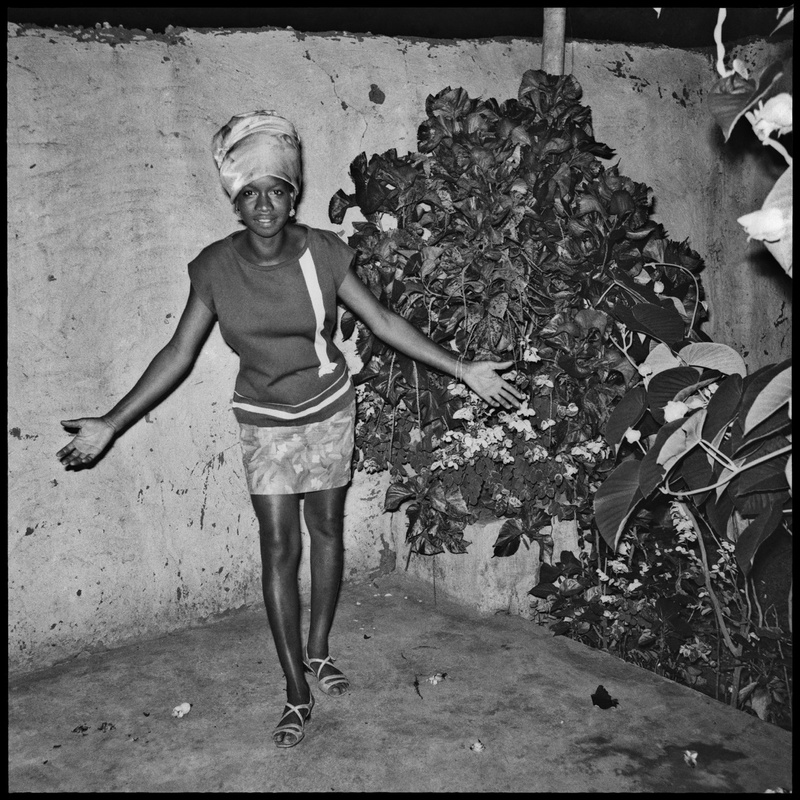 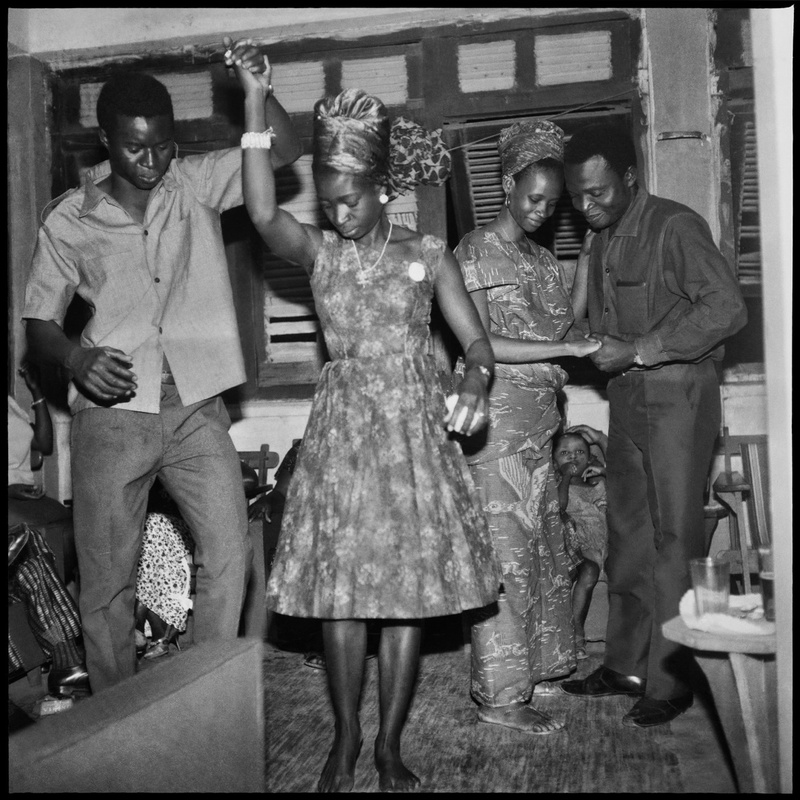 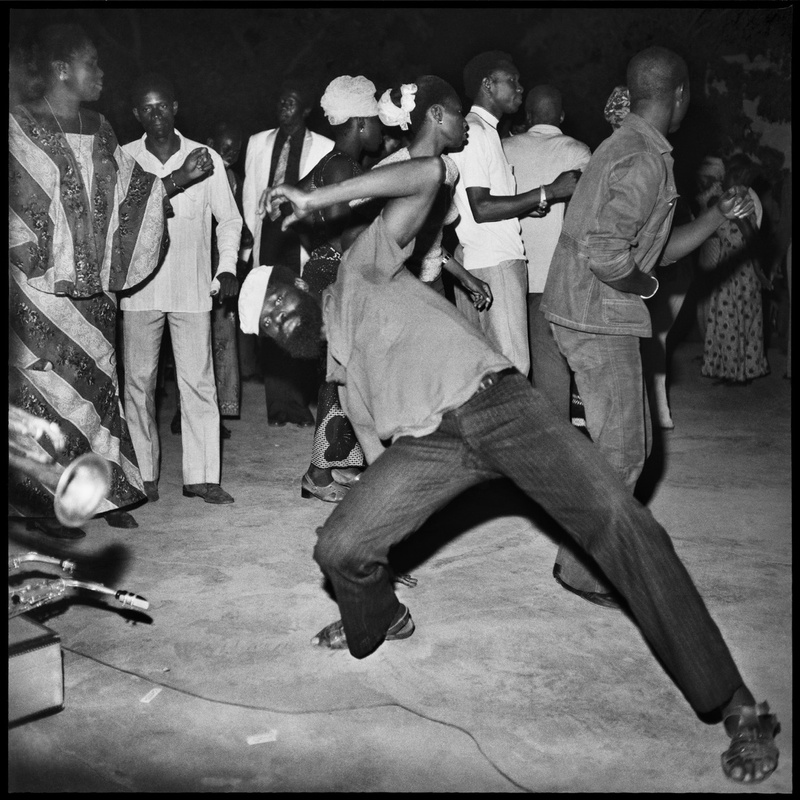 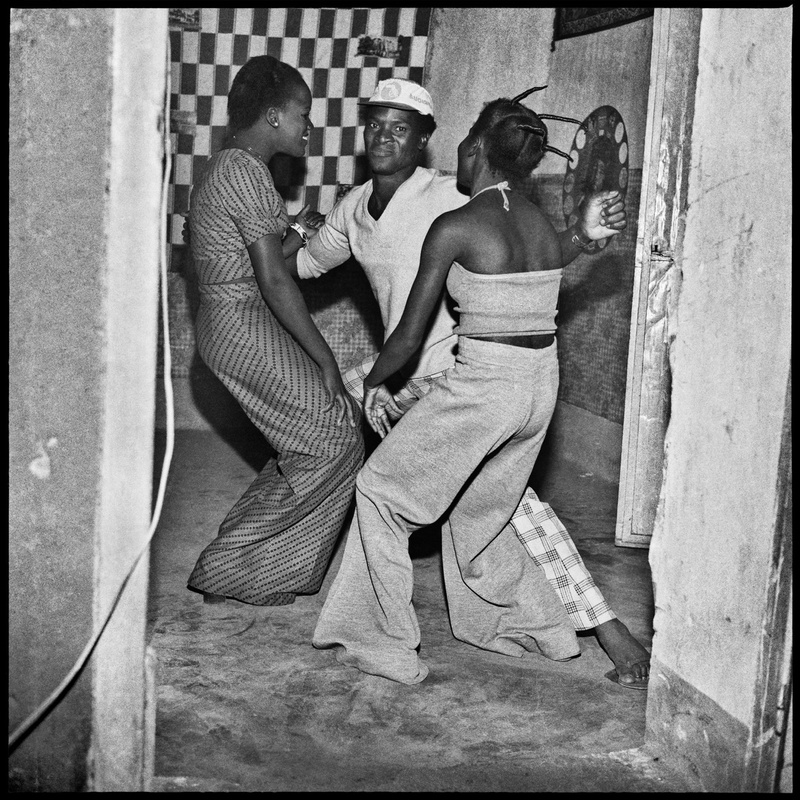 This collection of black-and-white photographs the carefree spirit of Sanlé’s subjects, including the musicians, dancers and lovers that graced some of Bobo’s hippest venues – Volta Dancing, Calebasse d’Or, Normandie and Dafra Bar. 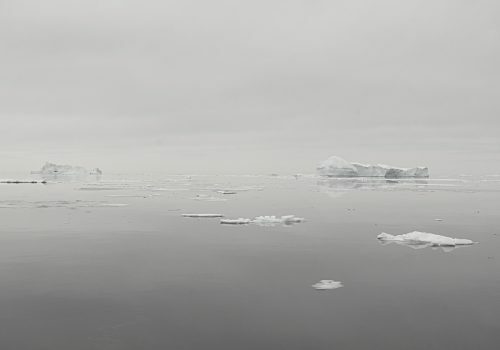 Eager to portray the region’s unique energy and passion, Sory would set off towards the remote villages along the Kou Valley, north West of Bobo. 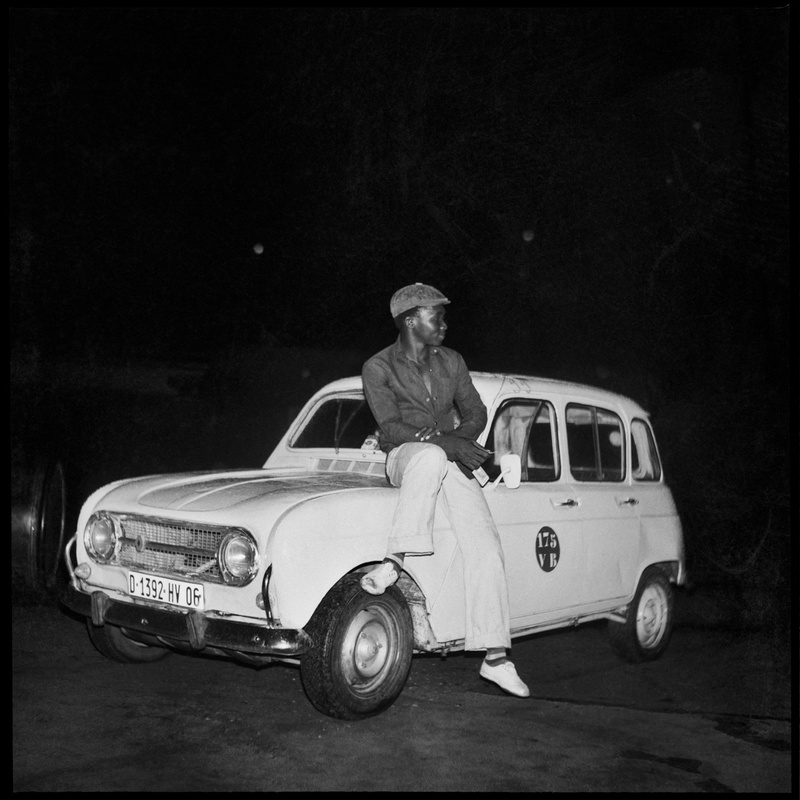 Driving in his Volta Photo Citroen 2CV van carrying a few lights and a home-made sound system, Sanlé would stage his own Bals Poussière (dustball parties) which often lasted until well after sunrise – at which point the farmers and herders would head straight back to tend their fields and cattle. 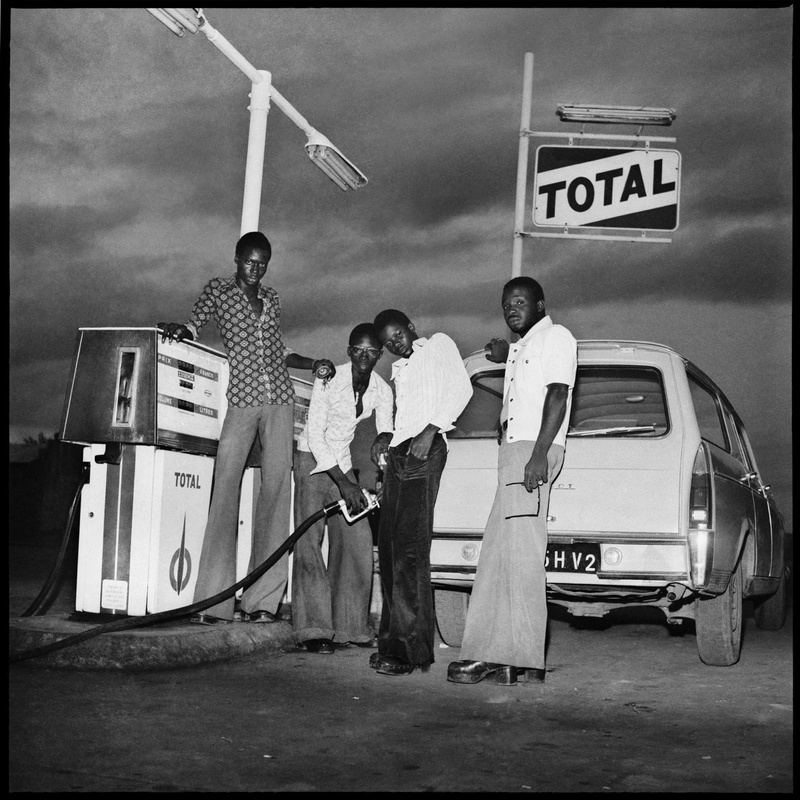 Born in 1943 in Burkina Faso, back when it was still a French colony known as Republique de Haute- Volta, Sanlé Sory began to take photographs in 1960 – the year the country regained independence. 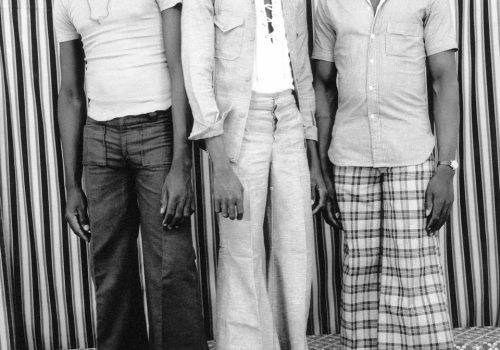 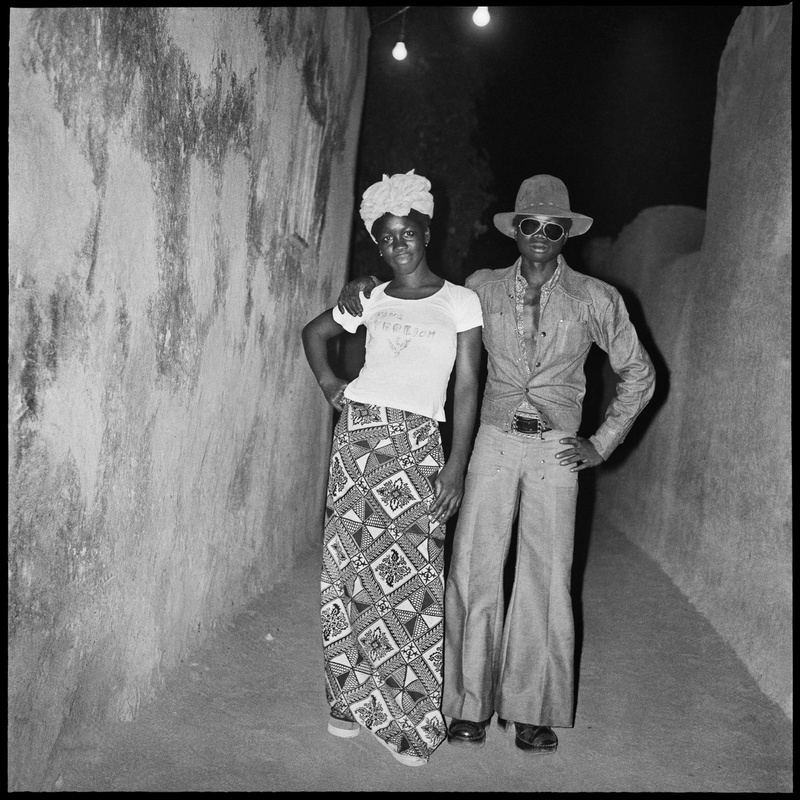 After cutting his teeth working as an apprentice to a Ghanian photographer for several years, by 1960 Sanlé had established his own studio, Volta Photo, in his hometown, Bobo-Dioulasso, which instantly became a cultural hub for the city’s most stylish residents – young and old, rich and poor. 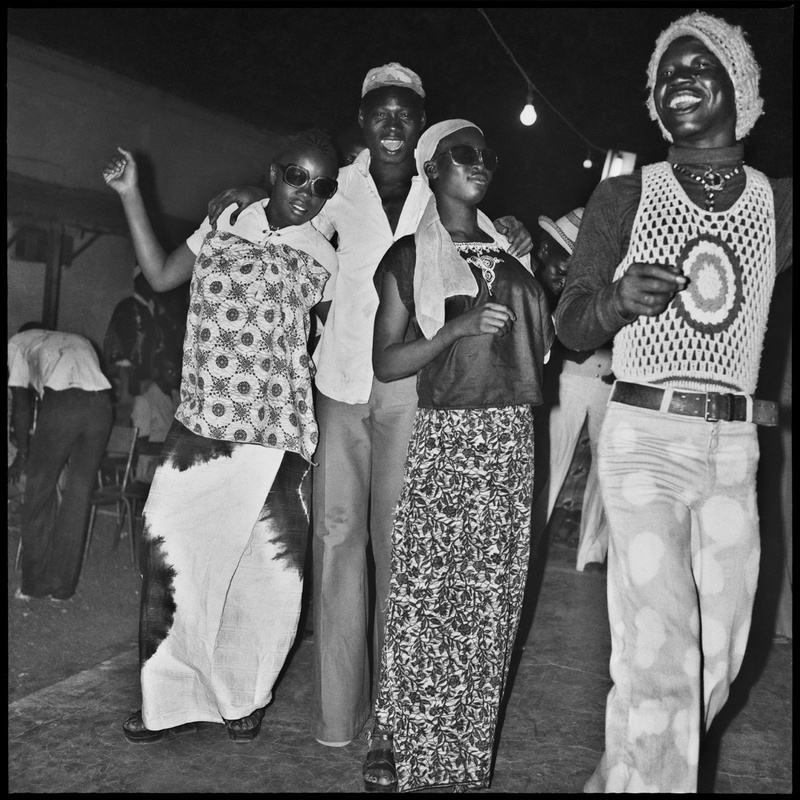 After working long days there, Sory would often go out and shoot the vibrant nightlife of his hometown and surrounding areas, amassing hundreds of photos spanning several decades which remained undiscovered until well into his 70s. 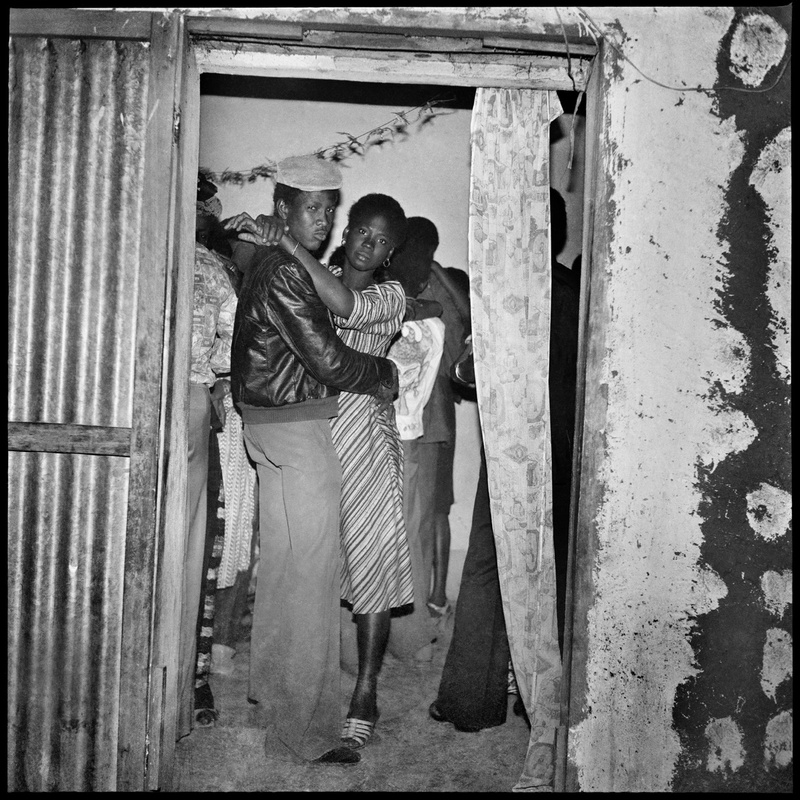 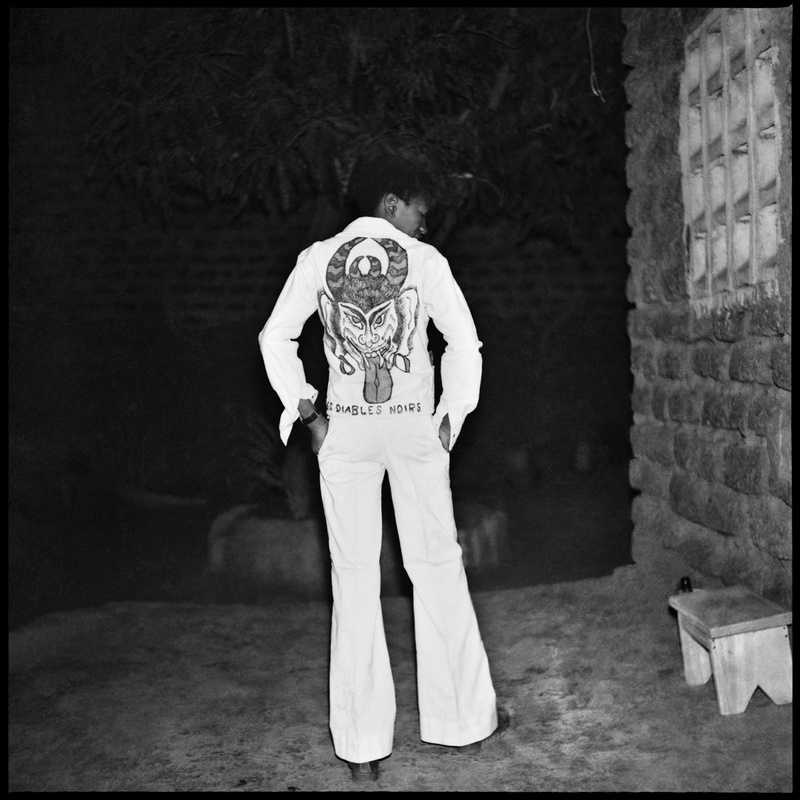 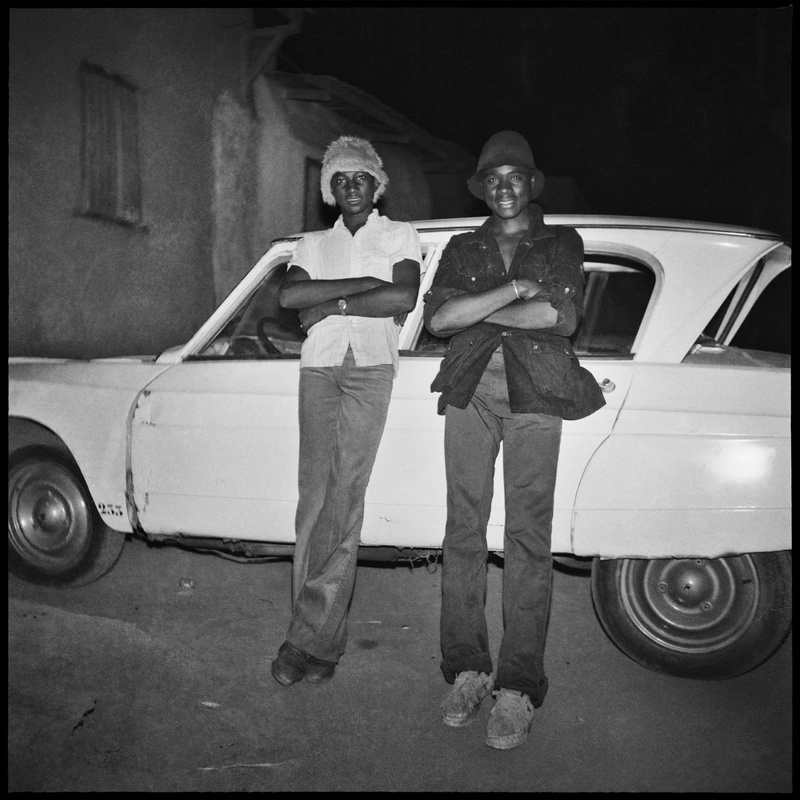 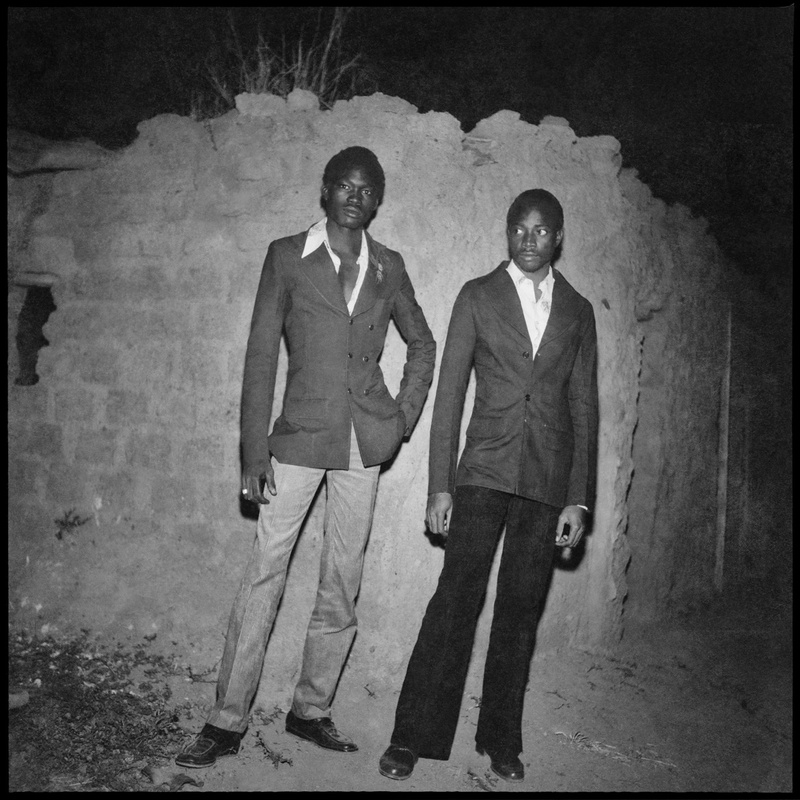 Now exhibited for the very first time at the David Hill Gallery in London and coinciding with a book of the same name published by Stanley / Barker, ‘Peuple de Nuit’ is a fascinating portrait of youth culture and the enigmatic night-time scene during the first decades of African independence. 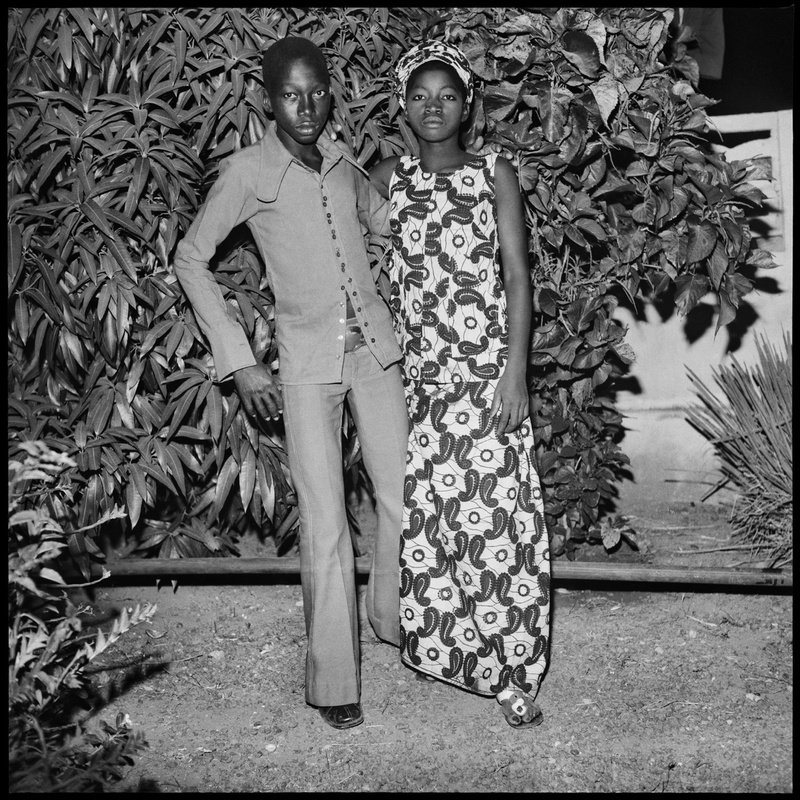 SANLÉ SORY was born in 1943 in Burkina Faso, West Africa. 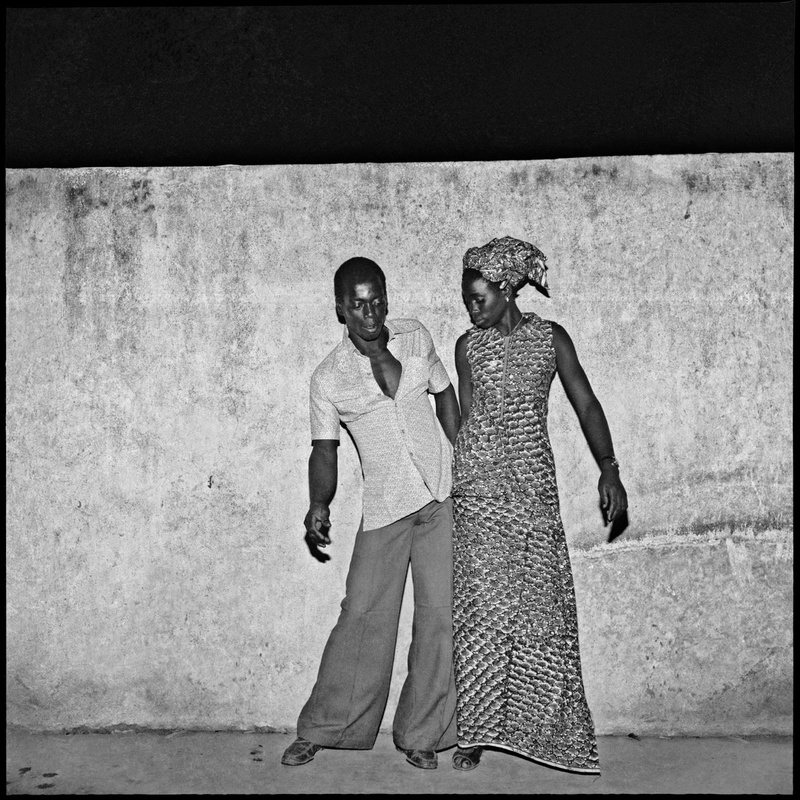 Sanlé began to take photographs in 1960 and learnt his trade working as an apprentice to a Ghanaian photographer, where he was taught how to process and print photographs and how to use a Rolleiflex twin lens camera.Whilst working as a freelance reporter and shooting record covers, Sanlé decided studio photography was his calling and in 1960 had opened the Volta Photo studio in his hometown, Bobo-Dioulasso. 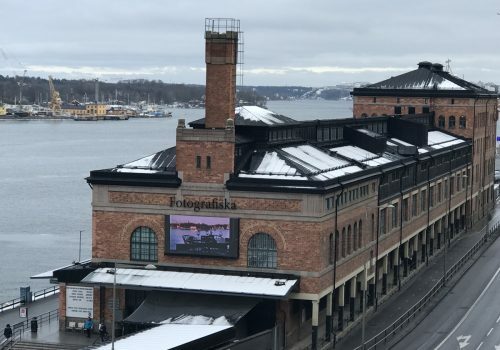 which became an instant hit with locals. 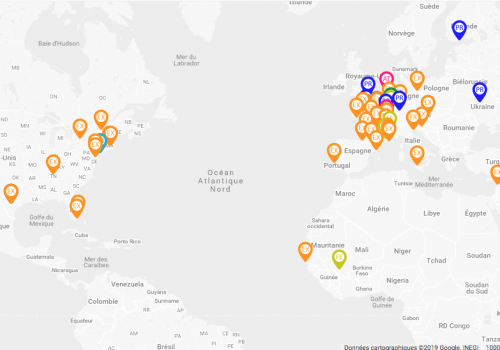 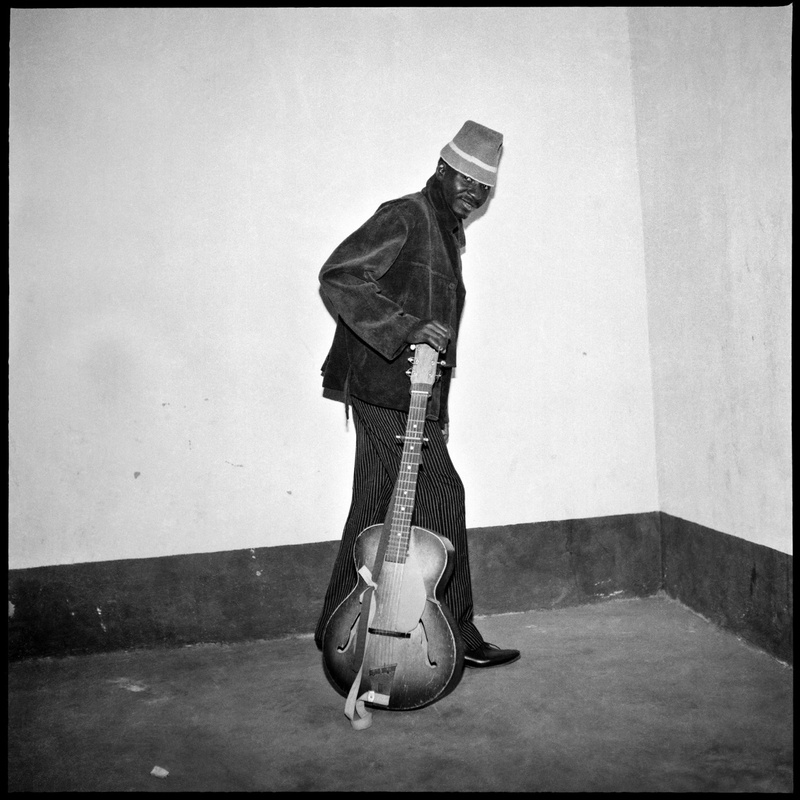 It was only at the age of 74 while living in obscurity that his work was discovered by the French record producer and archivist Florent Mazzoleni, who came across him while researching a project on West African music. 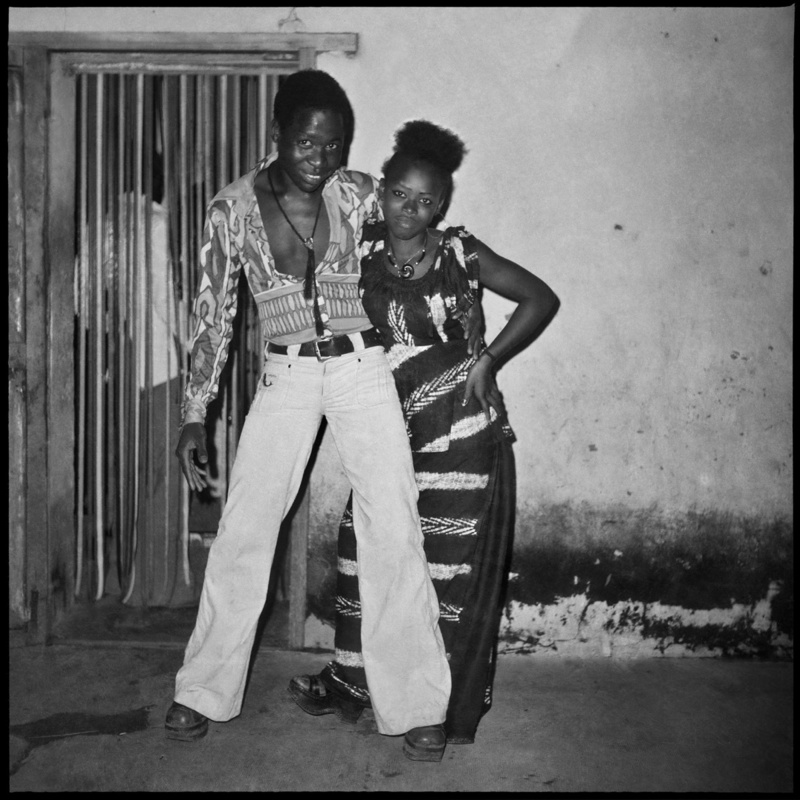 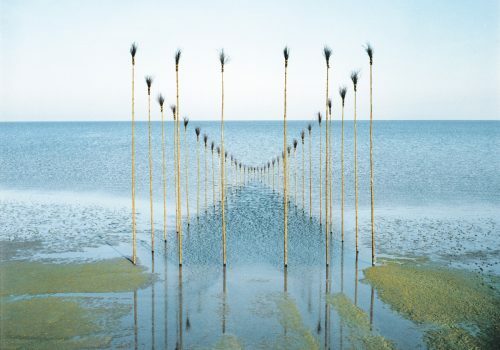 A fan of Sory’s album covers, Mazzoleni went to meet him at his studio – only to find the photographer burning his vintage negatives. 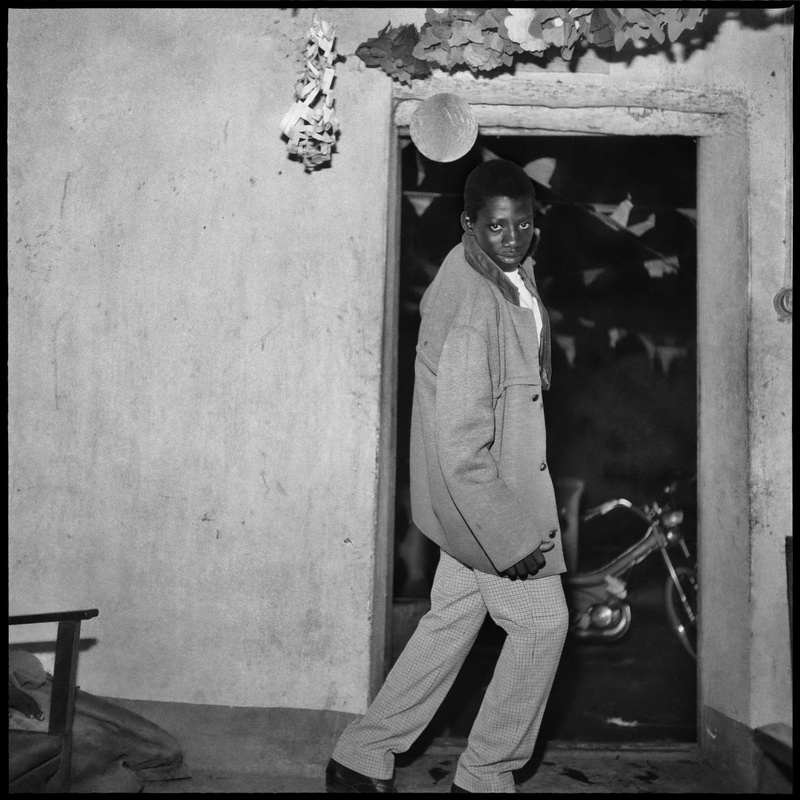 In 2013 he was given a solo show at the Institut Français of Burkina Faso in both Ouagadougou and Bobo Dioulasso. 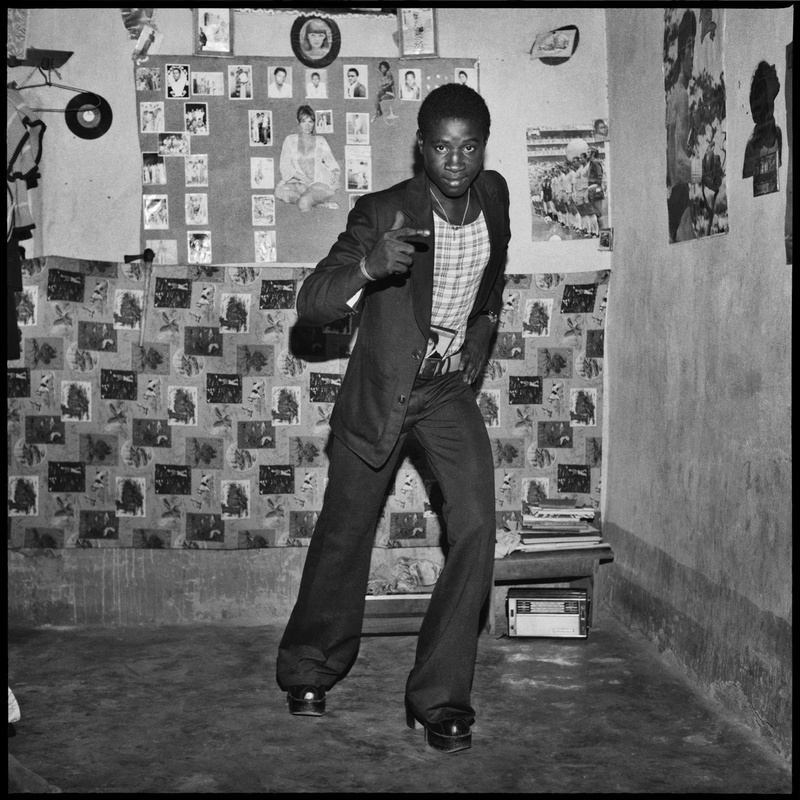 2017 saw the release of his first book Volta Photo 1960-1985 with an accompanying exhibition at David Hill Gallery. 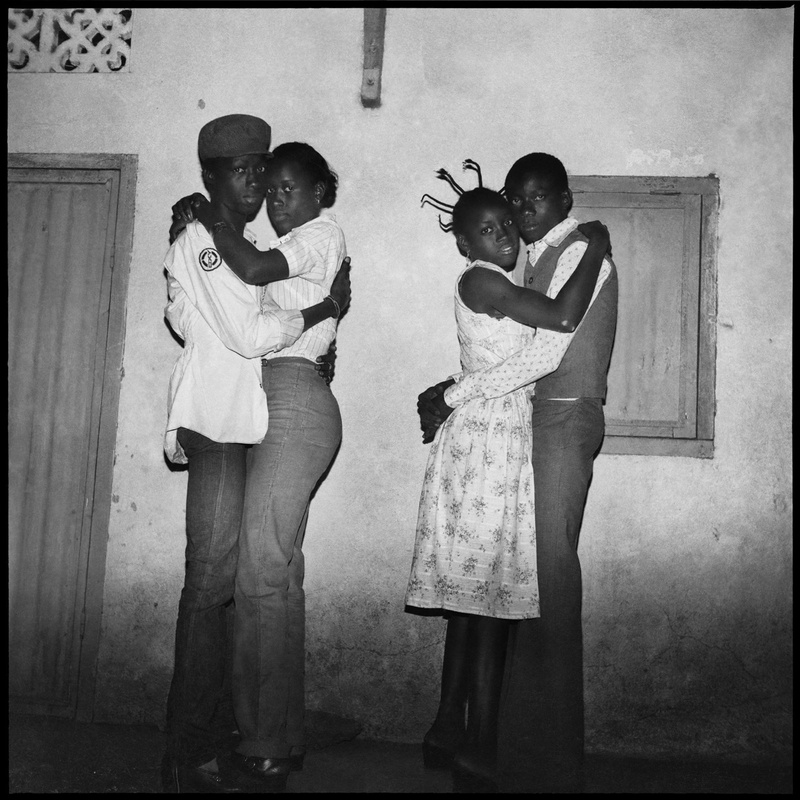 In 2018, his work was shown at the Art Institute of Chicago, when he became the first African photographer to have a solo exhibition at an American museum. 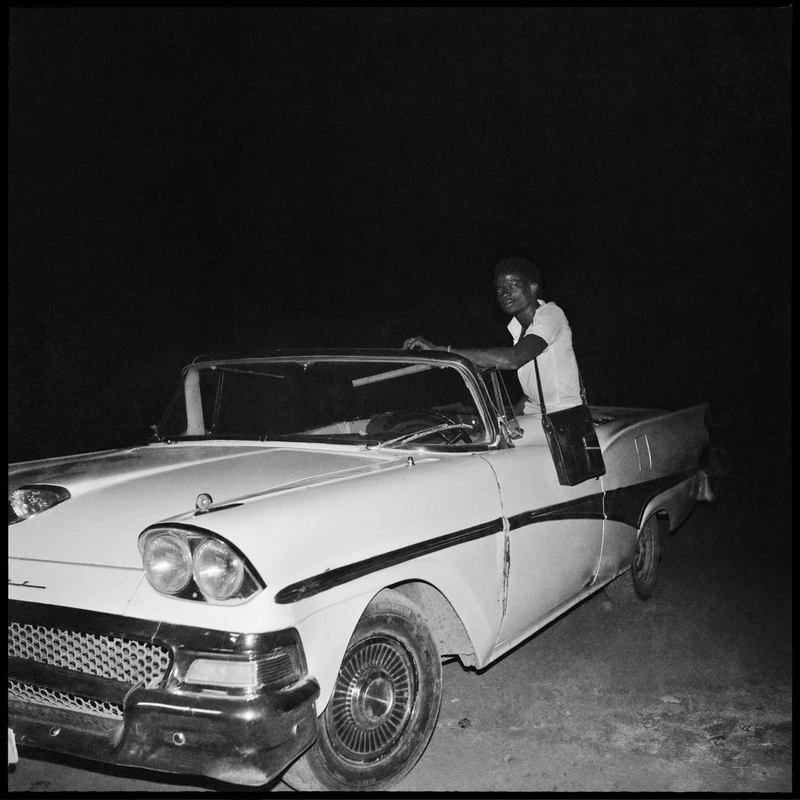 The was also an exhibition at the Yossi Milo Gallery, New York, and his work was part of the Autophoto at the Fondation Cartier, Paris.